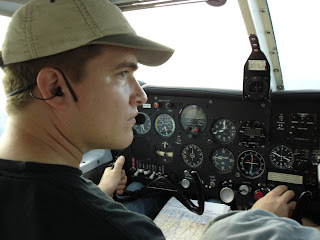 Stefan and I flew to FAGC (Grand Central Airport, Johannesburg) to submit my application for the private pilot license to the CAA (the South African Civial Aviation Authority). Half an hour later I had it. In the afternoon we met Caroline and Stefan, old friends of my family (they used to live in Ethiopia, but are now based in Pretoria). We went for a short sightseeing flight north of Grand Central. 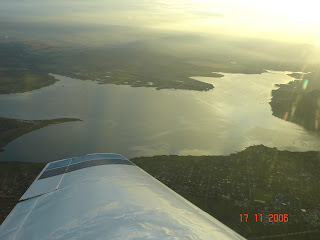 My first flight as PIC (pilot in command) in South Africa. 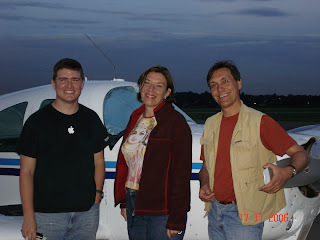 License in Jo'burg, sightseeing with Caroline and Stefan: FATP-FAGC was published on November 17, 2006 .